Well friends, we’ve reached our second chapter in Carol Ann Tomlinson and Caroline Cunningham Eidson’s Differentiation in Practice. The first chapter led us through a Language Arts ABC book unit. 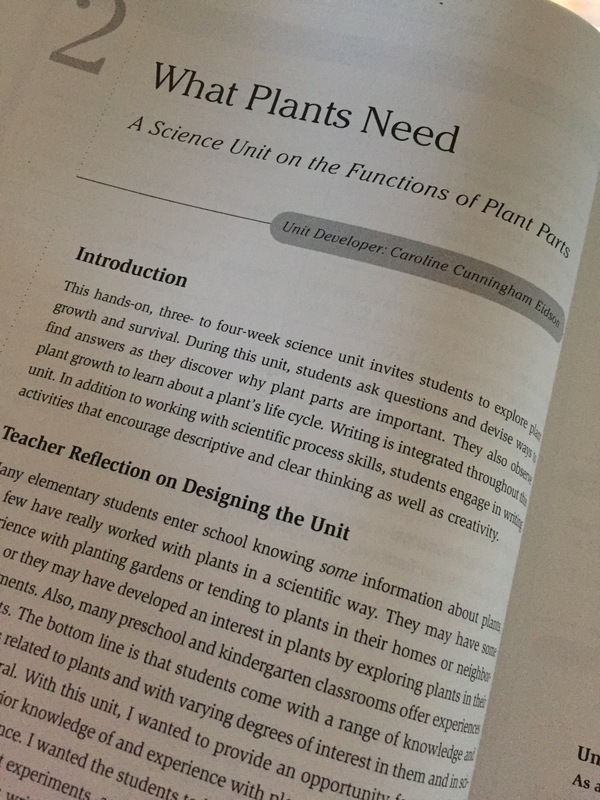 This chapter focuses on Science and a unit titled What Plants Need. This is nice for me because my fourth grade curriculum has a final unit all about plant growth and changes. Additionally, I have a first unit all about waste, life cycles, and decomposers, etc. 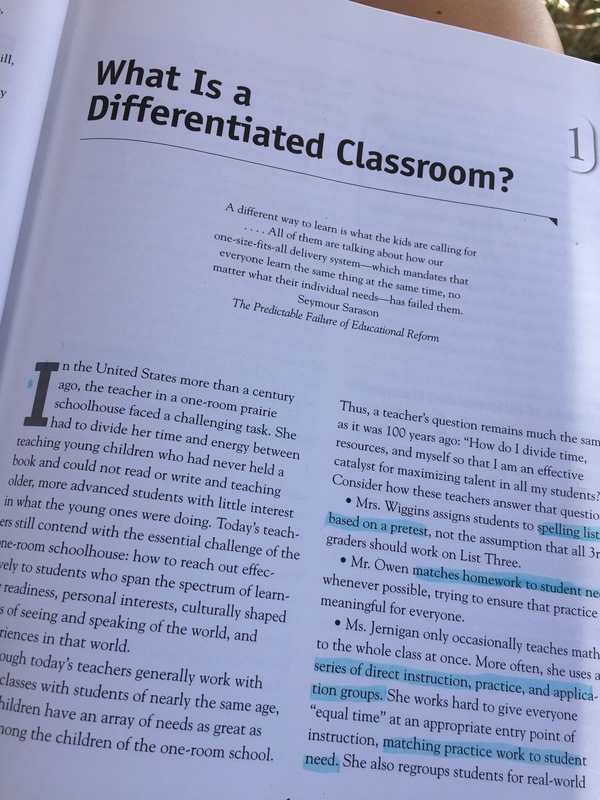 Beginning this chapter, I was very excited as I find differentiating math and english more straightforward to differentiate as I can always create new centres to focus on students’ varying needs and skills. In social studies and science, I find this more difficult to do. Much of the differentiation in this chapter has to do with kids working independently or in partners, depending on their varying ability, which I like because it’s easy to implement. I also liked all of the individual lesson plan ideas as they were fun and hands-on, which I believe is exactly what science should be. 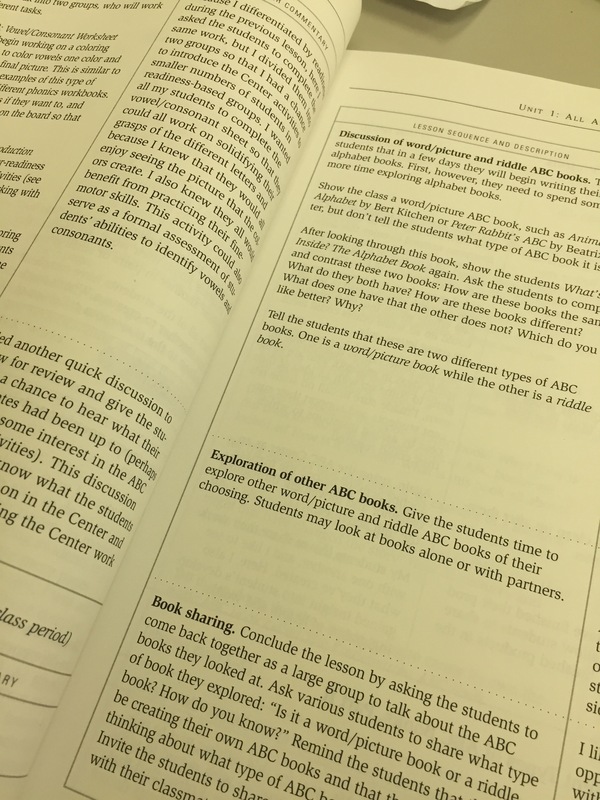 Another great thing I found from this chapter was having “anchor activities” for kids who have finished their work early. In my classroom, I have some students who finish very quickly and others who are much slower. It’s nice to have unit activities for them to do rather than just having them read a book or work in their “fun duo tangs”. Overall, I found this chapter to be a very informative and helpful one. 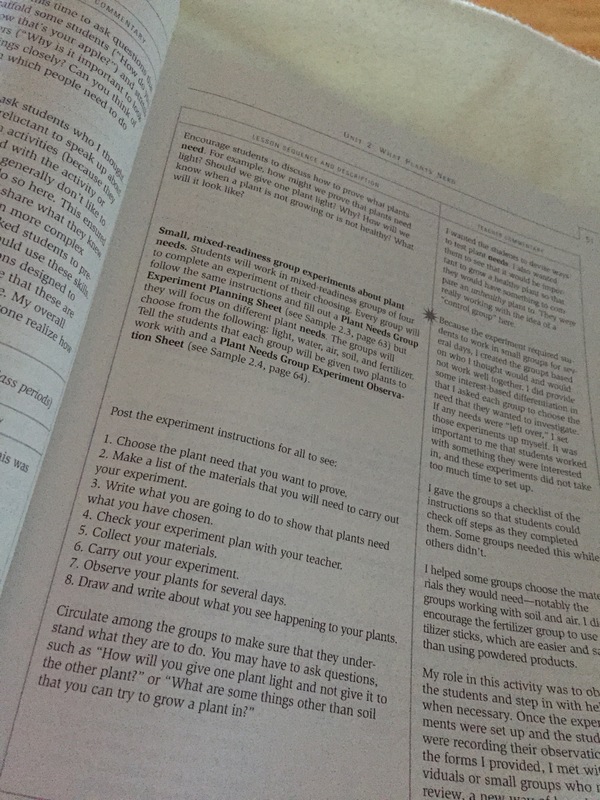 Differentiation in Science has been a struggle for me and I do believe this will help a great deal in my plant growth unit as well as other units which a lot of the strategies would work well in. If you’re interested in the book, here’s the like to it on Amazon. Stay tuned for chapter three! Hello everyone! We finished up Classrooms That Work a couple weeks back and I’ve been so sad without a book for book club! It’s left a bit of a void in my life, so I’ve picked a new one! It’s another from my school’s old library and I think it’s going to be a very helpful one for myself and a lot of other teachers as well. 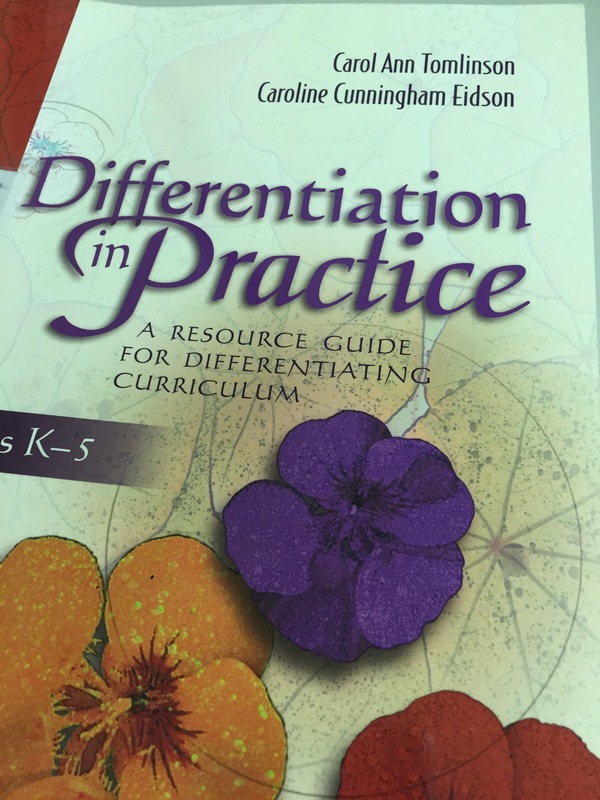 And the book is … (drumroll, please) … Differentiation in Practice by Carol Ann Tomlinson and Caroline Cunningham Eidson. 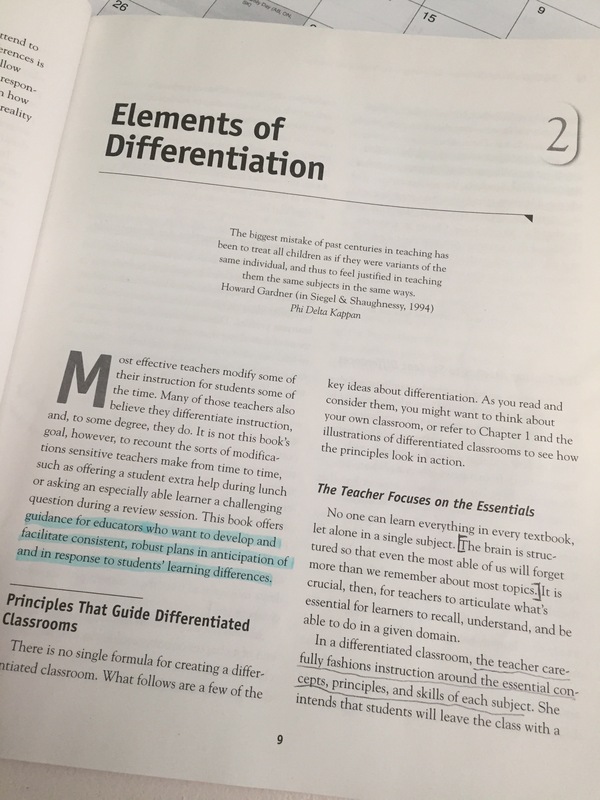 Each chapter in the book focuses on a different unit plan which is differentiated to meet student needs. 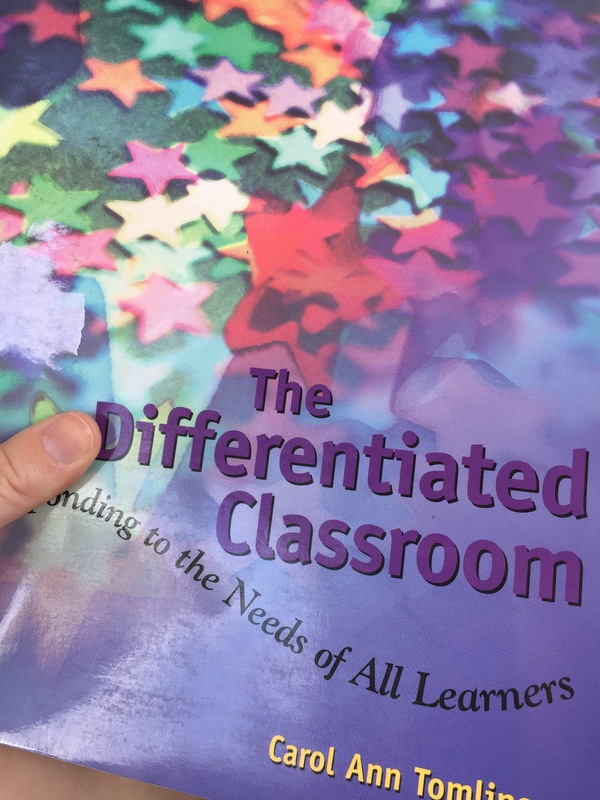 I like this, not just because I get a chance to read through and potentially implement a new unit, but because I can also pull out different tips and tricks to practice more differentiation in the lessons and units I’ve already planned. 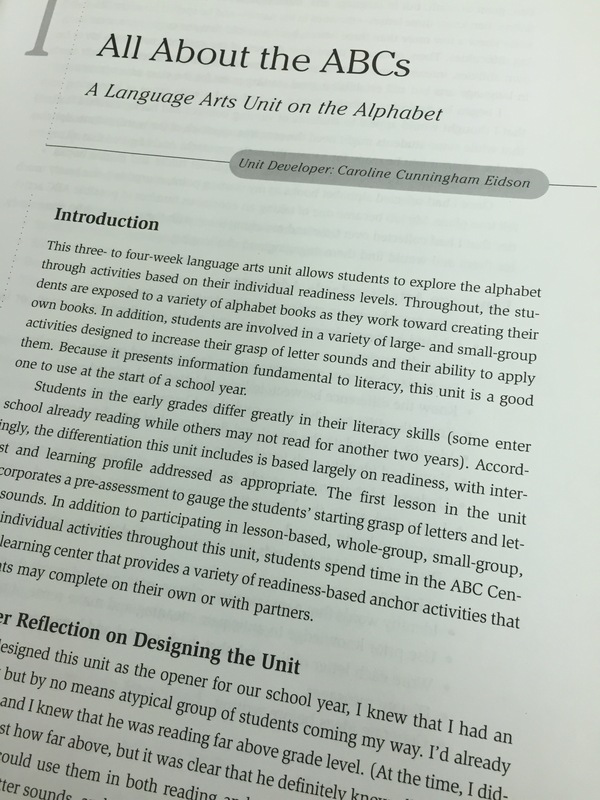 Our first chapter in the book is titled “All About the ABCs: A Language Arts Unit on the Alphabet”. Indeed, it’s a good chapter to begin with as so many kids, whether they come from families who do not read with them, are English Language Learners, have learning disabilities, have cognitive delays, etc. need to receive differentiated instruction in English Language Arts. I find the unit itself is geared toward division one students, so those thriving at a higher grade level could need further differentiation to make the unit more challenging and/or more interesting, but for me, where my students are technically in division two, but all are working in different areas within division one, it’s a great way to have the entire class working on the “same” unit at their own working level. 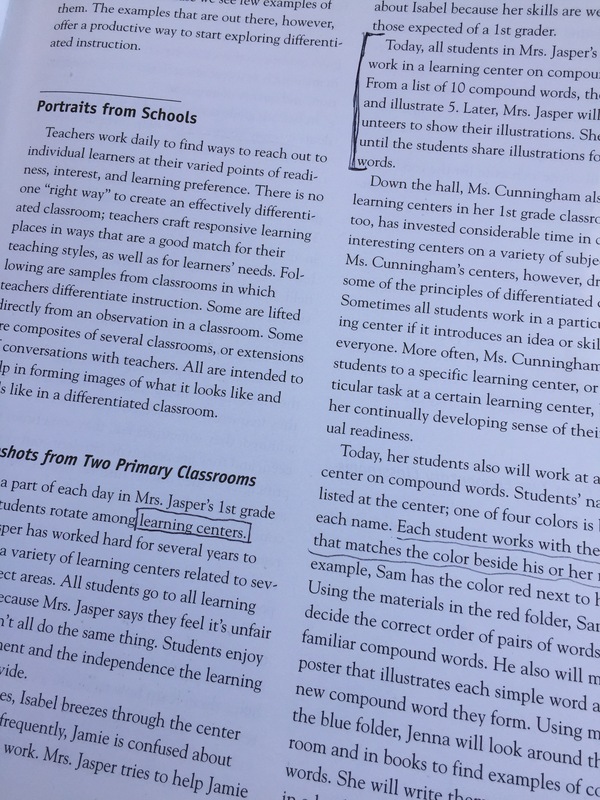 Further, this chapter discusses the use of learning centres, which I use daily in my classroom for both math and language arts. 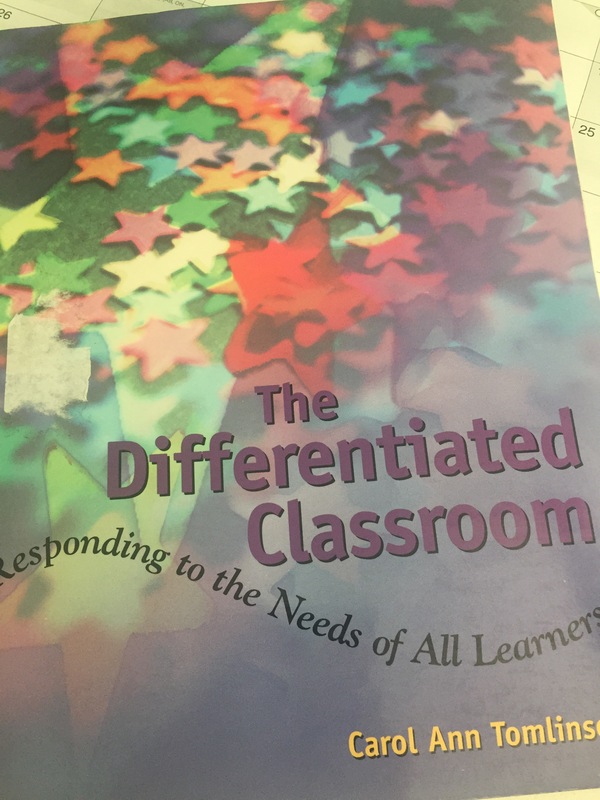 Indeed, it’s difficult to differentiate without the use of centres and I recommend them all the way through elementary (I know most teachers these days are doing centres into the alter years, but too often, many are stopping them by fourth and fifth grade). 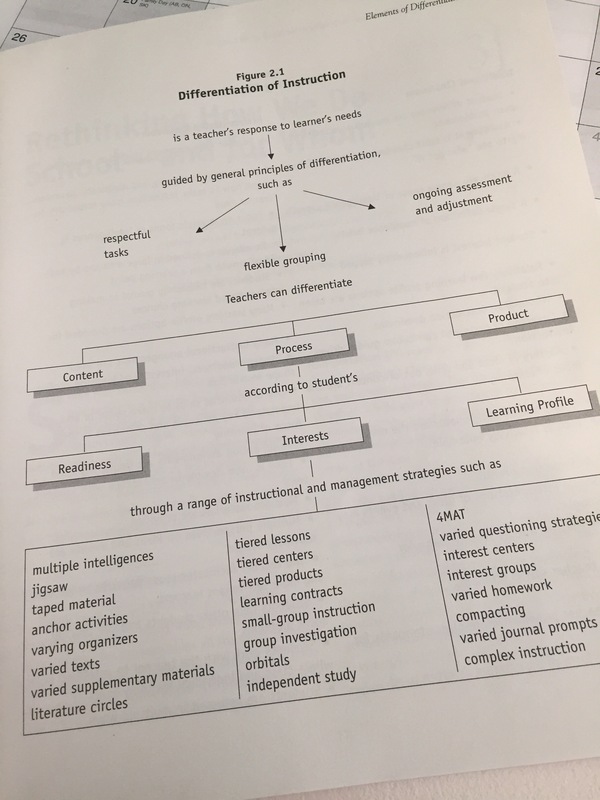 The “teacher reflection” discusses ways in which she organized the centres so that students at different levels could still use the same materials indifferent ways. Obviously, I LOVE this because it cuts down teacher time/money in buying and/or making supplies for centres. We’re already pressed for time as it is, there’s no need to burden us further! The unit itself is one I definitely would like to utilize in my own classroom. Indeed, it has students at various levels learning letter sounds, creating words, and writing sentences. 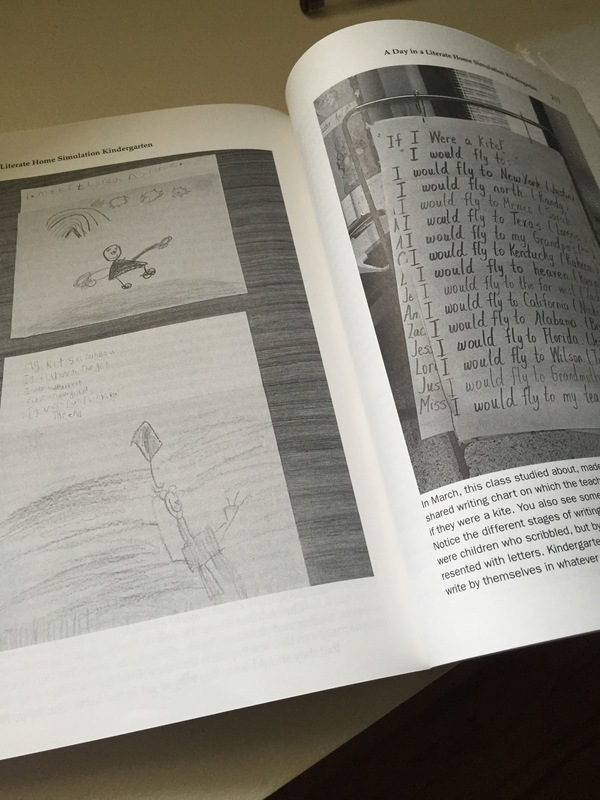 Plus, they get to make and share their own book, which tends to be the most fun part of the writing process! If you’re interested in the book, here is the link to it on Amazon! Stay tuned for chapter two! Well folks, we’ve come to the last chapter in Classrooms That Work. 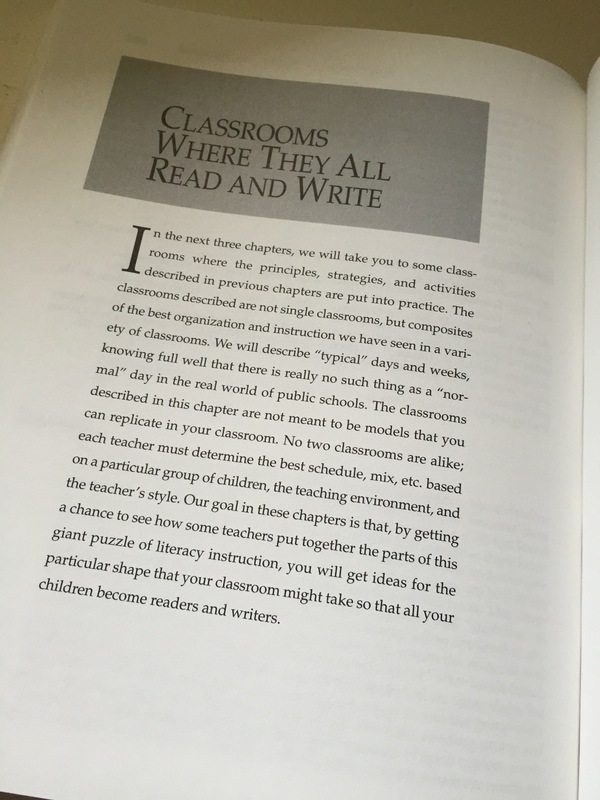 This is a short chapter which talks about important things teachers should focus on outside of classroom instruction and set up. They speak of these as “things worth fighting for”, and indeed they are. Integrating food programs for students is something spoken about (and something I, and every other teacher I know agree with) as being important to student success. Indeed, in the district I work for, most schools in low-income areas have a breakfast and/or lunch program in place, but many others are in need of this. Lots of students in more affluent areas often come to school without food and it’s something all schools need to address as proper nutrition is fundamental for student success as well as long-term health. Indeed, it’s not fair for teachers to have to purchase food for their students, we all want to ensure our kids are eating but everyone knows teachers aren’t rolling in cash either! 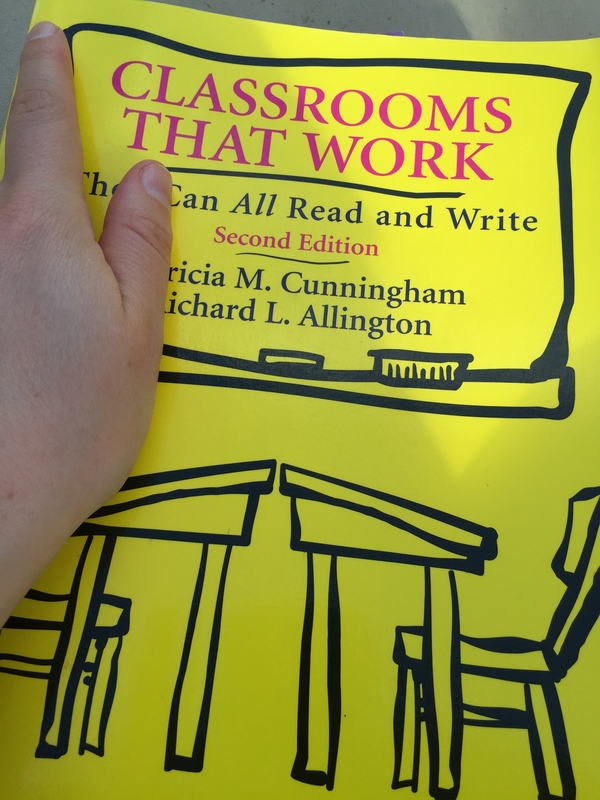 Additionally, I really recognized just how lucky I am to be teaching at the school I am with the people I do; many of the suggestions the book makes to better classrooms have already been integrated at my school. Indeed, I do work in a specialized program so even in my district, we are one of the few with these benefits, but it is still nice to see that these things are being recognized as being beneficial for kids. For example, small class sizes are mentioned (this one is, of course, a no-brainer for anyone in or out of the education system, but requires a lot more government support). Further, year-round schooling is discussed, and as someone who works at a year-round school, all I can say is IT IS THE BEST! We get a month off for sum mer instead of two, which is about all the time I really need. Then, we get extra time off throughout the year, which makes vacationing a lot easier (and a lot cheaper as we don’t need to go at peak times). Plus, the kids and staff have far fewer absences as they do not get run down as easily. Plus, kids do not as readily forget curriculum taught the previous year (three cheers for not having to spend the whole first month of school re-teaching math and language basics). And with that, we’ve finished our last chapter of Classrooms That Work! If you’re interested in this book, here’s the link to it on Amazon. I haven’t decided what book I’ll read next, or if I’ll post about another one…. I’ll let you know! I am not a winter person. Every winter I forget just how cold and dark it is and how much I wait for (and countdown to) Spring. So today I’m going to post about a Spring craft I did last year with my kids to try to brighten my own mood, and maybe someone else’s too! 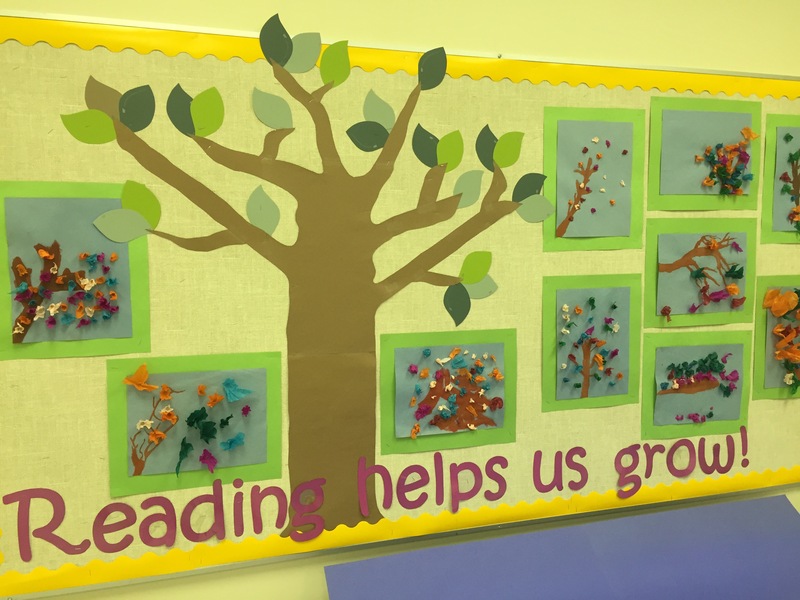 Right before Parent Teacher interviews last year, I realized my current bulletin board was looking rough and I needed something new to put in its place, so I needed a quick and easy craft for the students to make. I settled on a simple painted branch with tissue paper flowers craft. 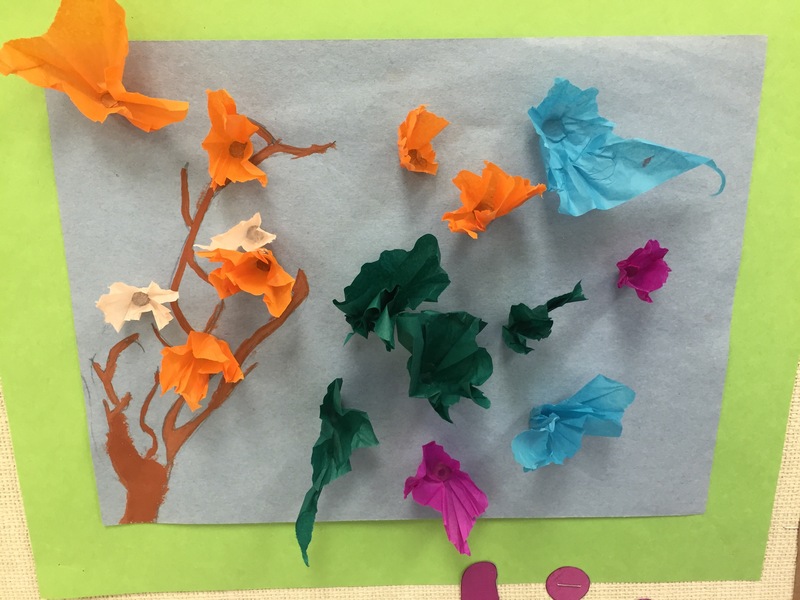 I gave all the kids blue paper so that their branch would looks as though it were against the sky and, to keep the classroom clean and orderly, I had them all sketch their ideas out and then take turns (two at a time) to paint their branches. 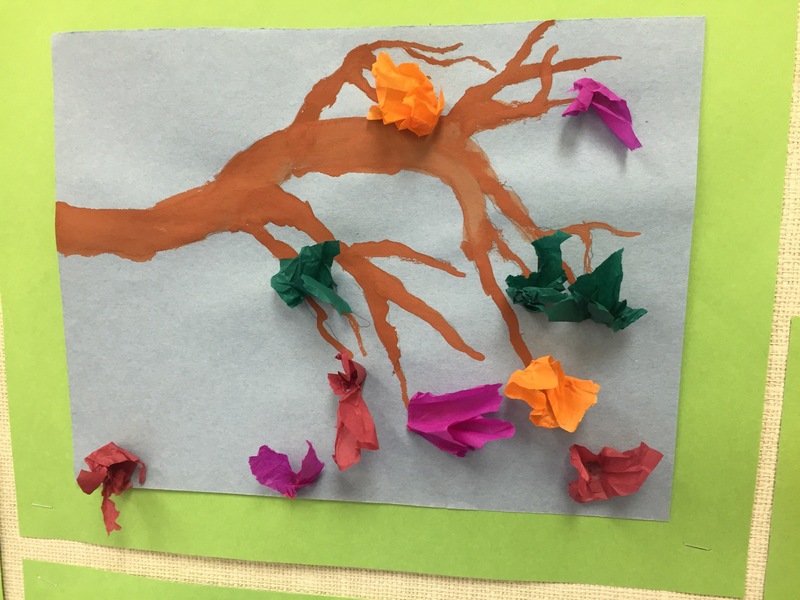 After their branches were painted, they got to choose their coloured paper, cut out their pieces, then return to their desks to glue on their tissue using the back of their pencils (they wrapped the tissue around the pencil, dipped it lightly into glue, then stuck it to their painting). The branches turned out really cute and very colourful! They immediately brightened my classroom (and posting them today is indeed brightening my day!). Plus, my new bulletin board was up by the end of the day and looked hella cute for PT interviews the following night! Plus, isn’t the caption adorable, I love making the text for my bulletin boards even more than I love making the crafts!